CARBON FIBRE INTERIOR - SLIDE AND TILT PAN ROOF - MERIDIAN SOUND SYSTEM - SWITCHABLE EXHAUST - FIXED SIDE STEPS Finished In Satin Black With Ebony / Cirrus Premium Perforated Oxford Leather Upholstery. Full Land Rover Service History With No Expense Spared With This Vehicles Maintenance. 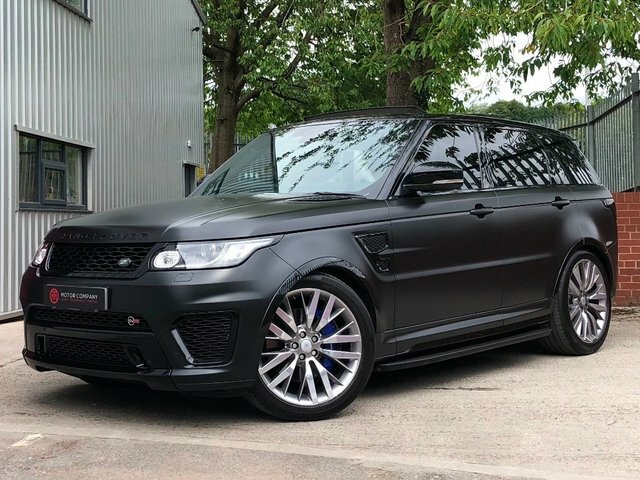 Optional Extras Include: Meridian Sound System (825w), Carbon Fibre Interior Trim, 22' Alloy Wheels, Driver Pro Pack Inc Blind Spot Monitoring And Lane Keeping Assist, Slide And Tilt Pan Roof, Adaptive Cruise Control, Premium HDD Navigation System With TMC Traffic Updates. Please Do Not Hesitate To Contact Us For More Information., 2 owners, 5 seats, FREE NATIONWIDE DELIVERY - 5.4% APR FINANCE AVAILABLE - 12 MONTHS WARRANTY!!! FIXED SIDE STEPS - PAN ROOF - MERIDIAN SOUND SYSTEM - FACTORY STEALTH PACK - ELECTRICALLY DEPLOYABLE TOW BAR - FULL LAND ROVER HISTORY!!! Finished In Corris Grey Metallic Paint With Full Ebony / Ivory Oxford Leather Upholstery. 38,000 Miles With Full and Comprehensive Land Rover Service History. Last Service Completed By Land Rover In October 2018. An Unprecedented List of Optional Equipment Which Include: Sliding Panoramic Roof, Stealth Pack, Electrically Deployable Tow Bar, Fixed Side Steps, 22' Alloys, HDD Navigation System, Meridian Sound System, 7in Touch Screen, Adaptive Cruise Control, DAB Radio, Front And Rear Park Distance Sensors With Visual Display And Rear Parking Camera, Heated Front Seats With Heated Rear Seats. A Grade 1 Example Throughout With An Unblemished History and The Perfect Specification. Please Call or Email To Discuss., 3 owners, 5 seats, FREE NATIONWIDE DELIVERY - 5.4% APR FINANCE AVAILABLE - 12 MONTHS WARRANTY!!! STEALTH PACK - PAN ROOF!!! HSE DYNAMIC LUX - PANORAMIC SUNROOF - BLIND SPOT INDICATOR!!! Finished In Corris Grey Metallic Paint With Full Black Oxford Leather Upholstery. A Grade 1 Example With Full And Comprehensive Land Rover History. Optional Equipment Includes: Factory Black Styling Pack, Panoramic Sunroof, Four-Wheel Drive With Active Driveline (4WD), Powered Tailgate, Privacy Glass, Autonomous Emergency Braking and Driver Condition Monitor, Automatic High Beam Assist, Premium Front and Rear Carpet Mats with Edging, Narvik Black Front Grille Surround and 20' 5 split spoke Style 504 with Satin Black Finish. A Very Desirable Colour Scheme With The Perfect Specification and History. Please Call or Email To Discuss., 2 owners, Stop/Start System. 5 seats, FREE NATIONWIDE DELIVERY - 5.4% APR FINANCE AVAILABLE - 12 MONTHS WARRANTY!!! 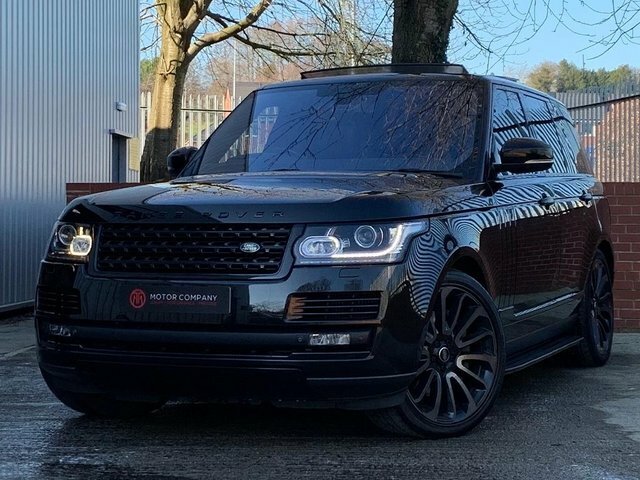 PAN ROOF - SIDE STEPS - HEATED STEERING - LANE ASSIST - BLIND SPOT INDICATOR - 12 MONTHS MOT - 12 MONTHS WARRANTY - Finished In Santorini Black Metallic Paint With Full Black Oxford Leather Upholstery. A One Owner Example With Only 31,000 Miles and Full Service History. This HSE Dynamic Lux Is An Excellent Example With The Perfect Specification Which Includes: Panoramic Sunroof, Side Steps, Privacy Glass, Adaptive LED Headlamps, Lane Assist, Blind Spot Indicator, Digital TV, Heated Steering Wheel, Automatic High Beam Assist, Power Boot Close, DAB Radio, Sat Nav and 20' 508 Design Alloys. Prepared To A Very High Standard With The Perfect Spec and History. Please Call or Email To Discuss., Upgrades - 14 Way Powered Front Seats w. Memory, 18in Temporary Spare Wheel, Adaptive LED Headlamps w. LED Signature Light., Full Oxford Leather Interior, Heated Steering Wheel, Powered Electrical Tailgate, Privacy Glass, 1 owner, Standard Features - 360 Park Assist, 5in TFT Driver Information Centre, 8in High Resolution Touch-Screen w. Dual-View, Alloy Wheels - 20in Five Split Spoke Style 504, Automatic Climate Control w. Air Filtration and Air Quality Sensing for Automatic Recirculation, Bluetooth Telephone Connectivity, Body Coloured Roof w. Matching Spoiler, CD/DVD, Cruise Control, DAB Radio, Fixed Panoramic Roof incl. Power Blind, Front and Rear Carpet Mats with Edging, Front and Rear Park Distance Sensors with Visual Display, Heated Front Seats, Heated Front Windscreen, Hill Start Assist (HSA), InControl Touch Pro Navigation, Intelligent Stop/Start System, Park Assist/Parallel Park/Park.Exit/Perpendic.Park, Premium HDD Navigation System, Rain Sensing Windscreen Wipers, Rear Camera Aid incl. Hitching Guidance, Surround Camera System w. Towing Assist, Touch Screen - 10.2in High Resolution, Traffic Sign Recognition, Tyre Pressure Monitoring System (TPMS), Volumetric Alarm. 5 seats, FREE NATIONWIDE DELIVERY - 5.4% APR FINANCE AVAILABLE - 12 MONTHS WARRANTY!!! For those with a taste for adventure, Land Rover is a marque that has plenty to offer. From the go-anywhere, do-anything nature of the Defender to the luxurious and sophisticated style of the Range Rover, these are cars built to perform. 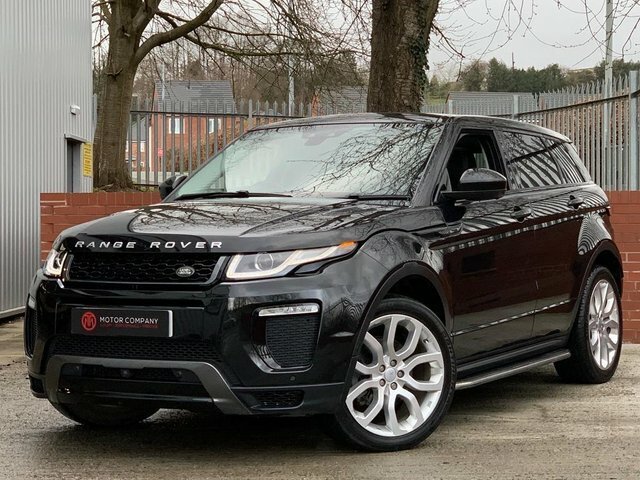 Here at TMT Website Account you'll find an impressive selection of used Land Rover cars for sale in Congleton to choose from, with options to suit a variety of budgets. Take the opportunity to browse our latest stock here on the website and be sure to contact a member of the team with any questions. Arranging a test drive is easy, and we'll go the extra mile to help you find the right pre-owned Land Rover to suit your needs.